Home / News / DOJ chief to Trillanes' amnesty revocation: "It was void from the beginning. It’s as if it never existed and never been valid"
DOJ chief to Trillanes' amnesty revocation: "It was void from the beginning. It’s as if it never existed and never been valid"
President Rodrigo Duterte has invalidated the grant of amnesty to opposition Senator Antonio Trillanes IV for failure to comply with its basic requirements, Malacañang said Tuesday. 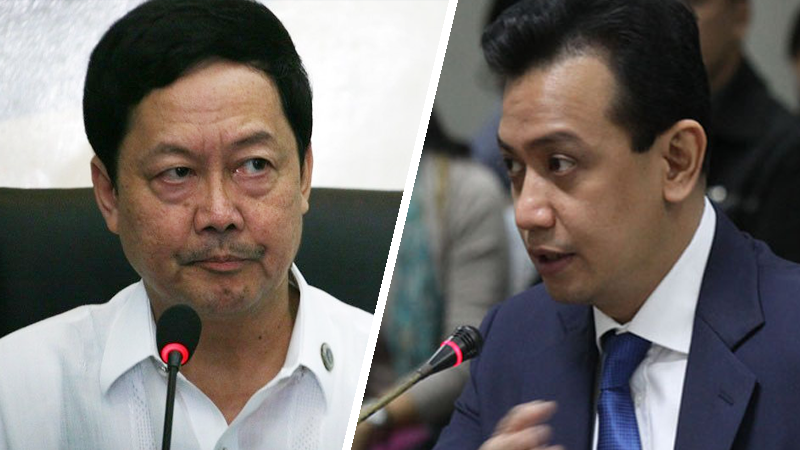 Department of Justice (DOJ) Secretary Menardo Guevarra said the amnesty given to Trillanes was void from the beginning as the senator failed to comply with the basic requirements of filing an application for amnesty and admitting his guilt to the crime committed. "It’s as if it (the amnesty) never existed, never been valid. It’s a declaration that it was void from the moment it has been issued,” Guevarra said during a press conference. Duterte has issued the Proclamation No. 572, which states the revocation of amnesty extended to Trillanes in connection with his involvement in unsuccessful attempts to overthrow the Arroyo administration. 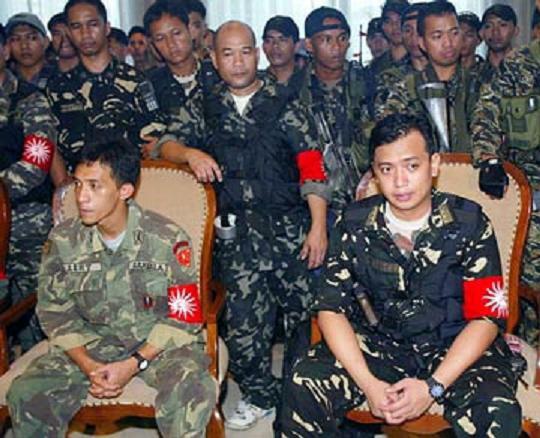 According to the proclamation, Trillanes, who was a former Navy officer has never expressed his guilt for the crimes committed in line with the Oakwood Mutiny in 2003 and Manila Peninsula Siege in 2007, and Marines stand off in 2006 incidents, the proclamation said. While the DOJ and the Armed Forces' court martial were already instructed to pursue all criminal and administrative cases" against Sen. Trillanes over military uprisings in 2003 and 2007, this is according to the copy of Pres. Duterte's proclamation, which was also confirmed by Justice Secretary Guevarra. The military and the police were also ordered to employ all lawful means to apprehend Trillanes so that he could be detained. Trillanes will stay in the Senate while his camp is exhausting all legal efforts. Senators agreed to put him under the custody of Senate President Vicente "Tito" Sotto who vowed not to allow arrest within the Senate premises. Trillanes in response, said contrary to what the Proclamation 572, denied allegations that he did not even file for amnesty. He said that he applied for the amnesty back year 2010 and complied with all the requirements otherwise he would not have received the immunity and the amnesty granted. "Walang basis at all. Hindi mo pwedeng bawiin ang amnesty," he added. The senator branded Duterte's move to revoke his amnesty as a political persecution. Justice Chief Guevarra also said Trillanes cannot appeal or file a motion of reconsideration to reverse Duterte's order.